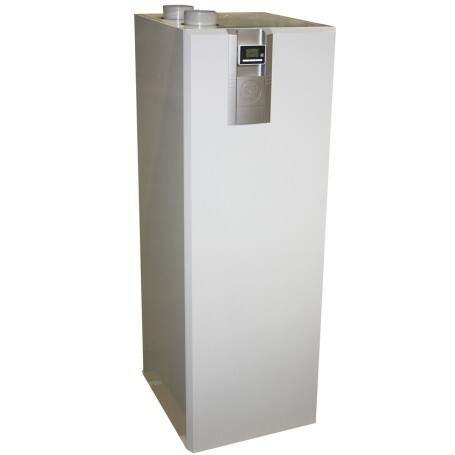 Thermodynamic water heater, combined with an automatic or humidity-controlled whole house extract unit. 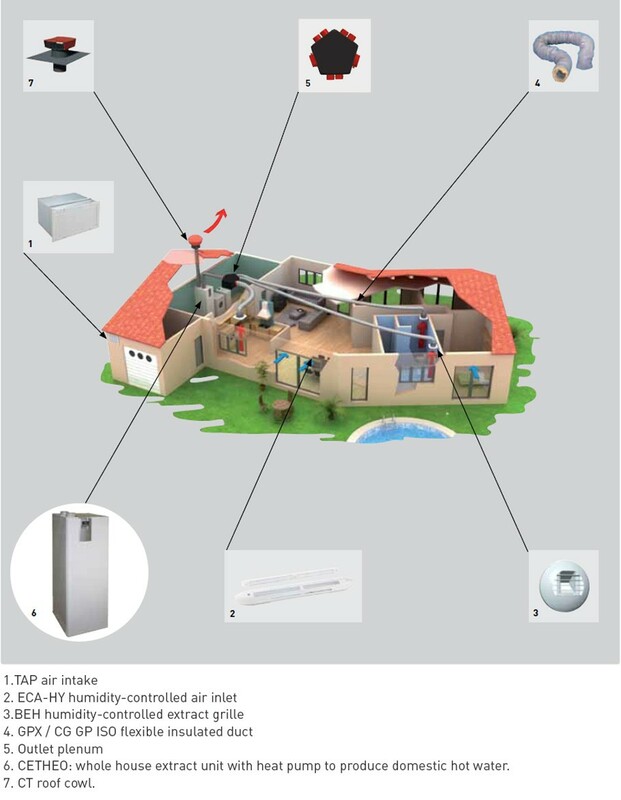 The air from bathrooms and kitchen is sent to a high efficient heat pump (Integrated into CETHEO). 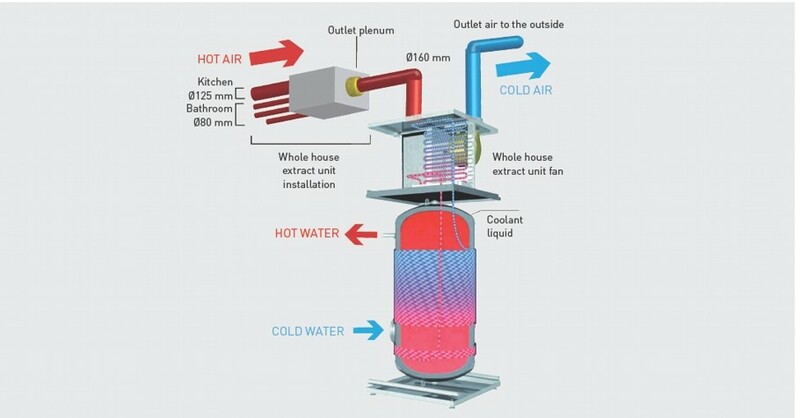 The system recovers the heat from the exhaust air via the whole house extract unit.The system delivers a very stable and high efficiency, reducing the energy consumption for the production of domestic hot water by up to 75%. High COP: 4,2 according to EN 255-3 (150 m3/h), 3.64 EN 16 147 (150 m3/h). Whole House extract unit motor with very low power consumption: 17 W.
Heat pump maximum power consumption: 380 W.
ﾒBoostﾒ function reduces the time to heat the water. Volume of water available at +40ﾺC: 244 liters. Absorbed power, within 24 hours, to maintain the set-point temperature. 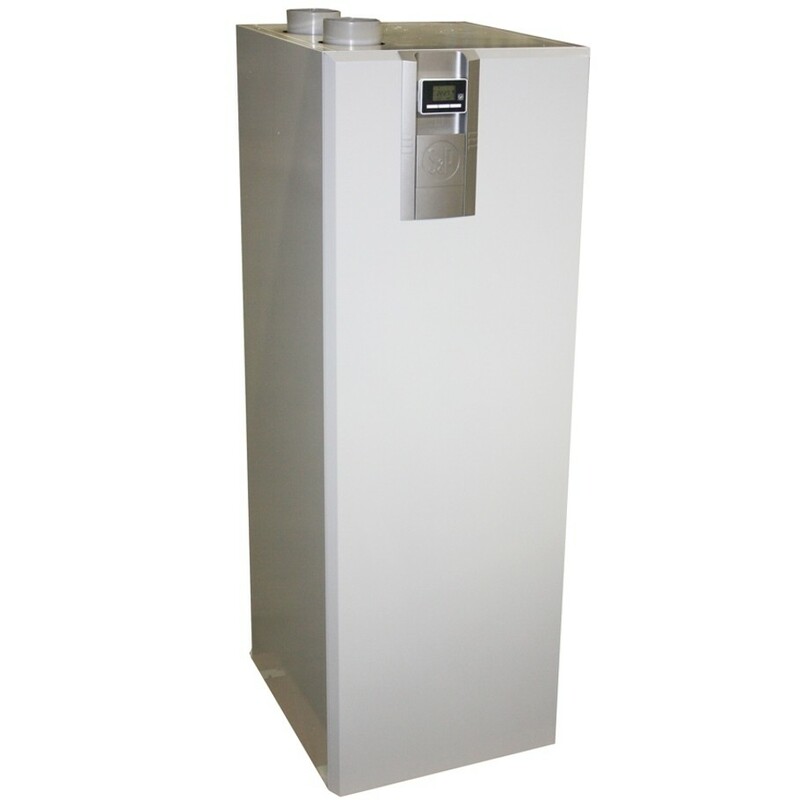 Maximum water temperature, with heat pump, 61,5ﾰC. Maximum water temperature, in Boost and anti-legionella mode, 65 ﾰC. Its smart design allows installation in any technical room of the dwelling. Inferior to 28,4 dB(A) at 2 meters. 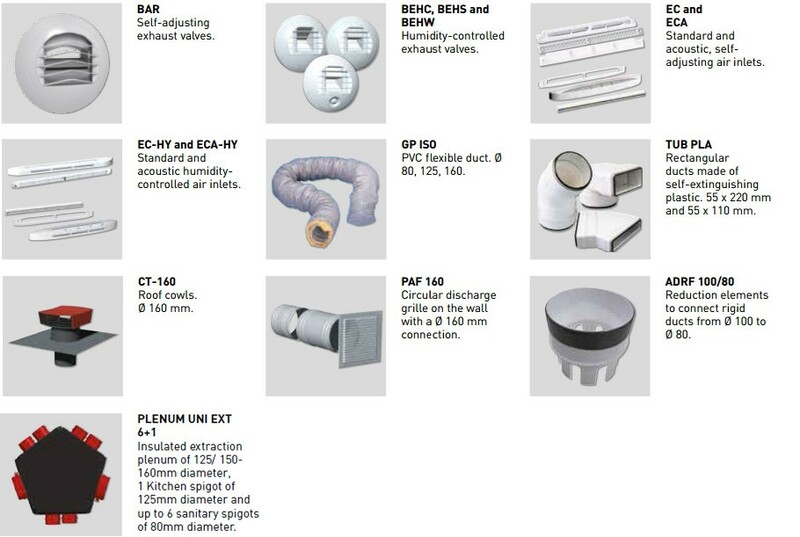 Thanks to the patented by-pass system, which avoids the flow of air through the heat-pump when DHW is not produced. Discharges less CO2 into the atmosphere than a traditional solar+ boiler system. The air, extracted by the fan, flows through the filter. The air flows through the evaporator, giving up its heat energy. The fan extracts the air to outside.